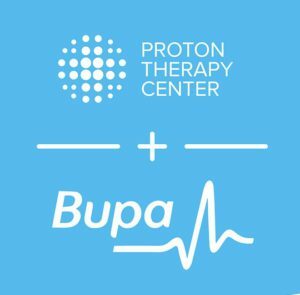 Bupa UK health insurance customers will have greater access to a new state-of-the-art cancer treatment within the next few weeks, thanks to a new partnership with the Proton Therapy Center. The Proton Therapy Center in Prague, Czech Republic uses the latest pencil-scanning technology to treat tumors and works by accelerating protons until they reach half the speed of light. Unlike traditional radiotherapy using X-rays, the proton therapy can pin-point the exact area to target, preserving healthy tissue around the tumour. This means the treatment is less invasive for the patient, and can help reduce their recovery time. The technology has treated more than 2,500 patients from 25 countries. It can target tumours in the head, neck, brain, central nervous system, lungs, prostate, breast, pancreas and lymphomas. It can also help treat tumours in children. Dr Tim Woodman, Bupa UK Medical Director said: “At Bupa we’re committed to providing our customers with access to fast, high quality healthcare that is right for them. Dr Jiri Kubes, Medical Director of the Proton Therapy Center, said: “The latest international studies on key cancer indications have shown that proton therapy is highly effective with minimal side effects. During a trial of this new partnership Sylvia White, from Southampton UK was Bupa’s first customer to undergo the proton therapy after discovering a tumor behind her eye. This treatment is available to eligible Bupa UK health insurance members. To check if you’re eligible, speak with the Bupa Oncology care team. The Proton Therapy Center in Prague is a leading global health care facility and the most advanced proton therapy provider in Europe. Since 2012 our services have already been sought by clients from 25 countries worldwide. The Proton Therapy Center Czech is equipped to provide treatment for 2500 patients a year and we have 4 treatment rooms at our disposal. We use state-of-the-art active scanning techniques. The Proton Therapy Center offers advanced technology solutions in the fight against many different types of cancer (tumors of head and neck, brain and CNS, lymphomas, lungs, prostate, breast, pancreas and tumors in children) with a consequent reduction in potential side effects, with Pencil Beam technology and its high levels of accuracy being at the forefront of the treatment options available here. We guarantee top quality of treatment, and therefore we use the most advanced diagnostic equipment, such as computed tomography (CT scanning), magnetic resonance imaging (MRI scanning) and positron emission tomography combined with computed tomography (PET/CT scanning). Bupa’s purpose is helping people live longer, healthier, happier lives. With no shareholders, our customers are our absolute focus. We reinvest profits into providing more and better healthcare for the benefit of current and future customers.